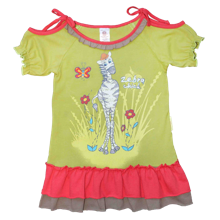 Beautiful fresh Summer green swing top with contrasting red & mushroom coloured details. Little ties at the neck line allow the shoulders to peep out, while elasticised stitching creates a sweet little puff sleeve detail. 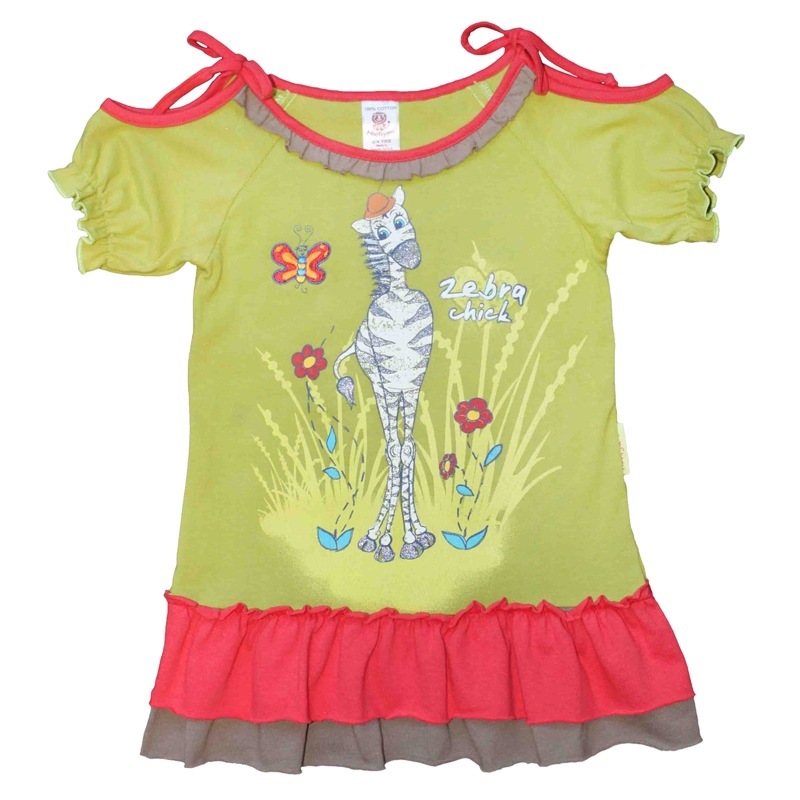 The printed girlie zebra is standing in long grass & wild flowers with an embroidered butterfly friend.